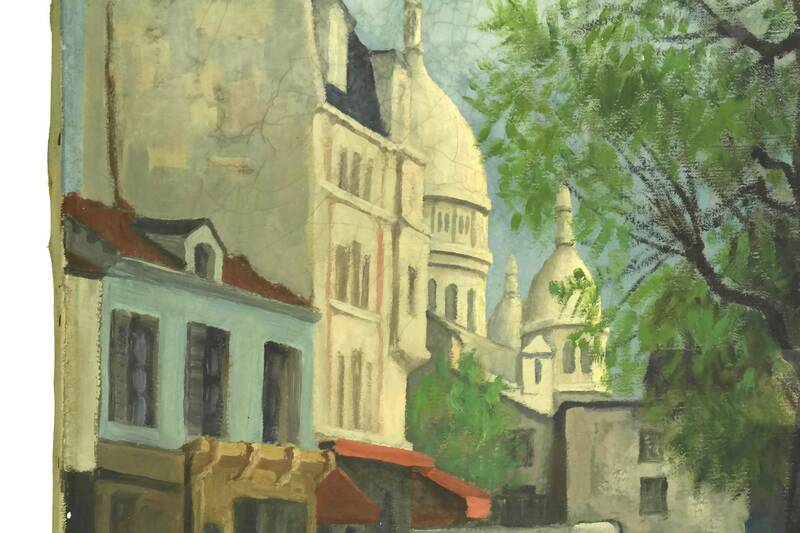 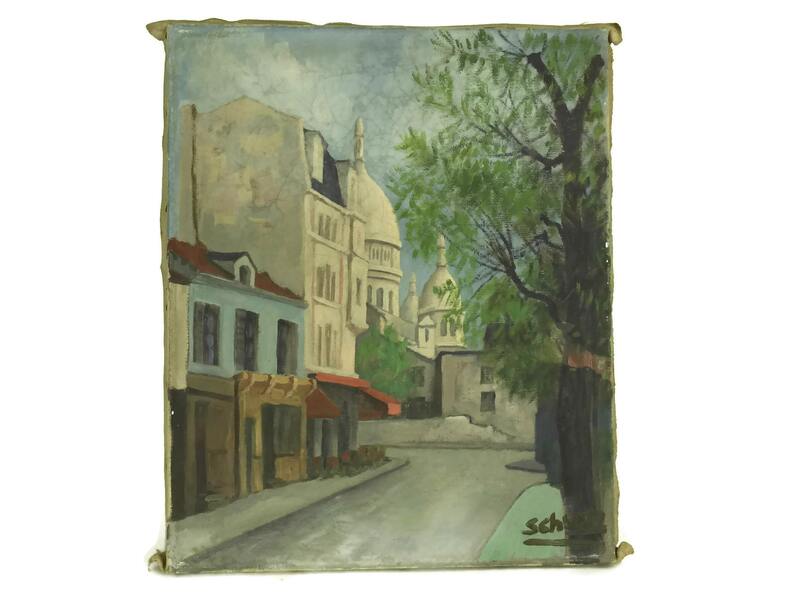 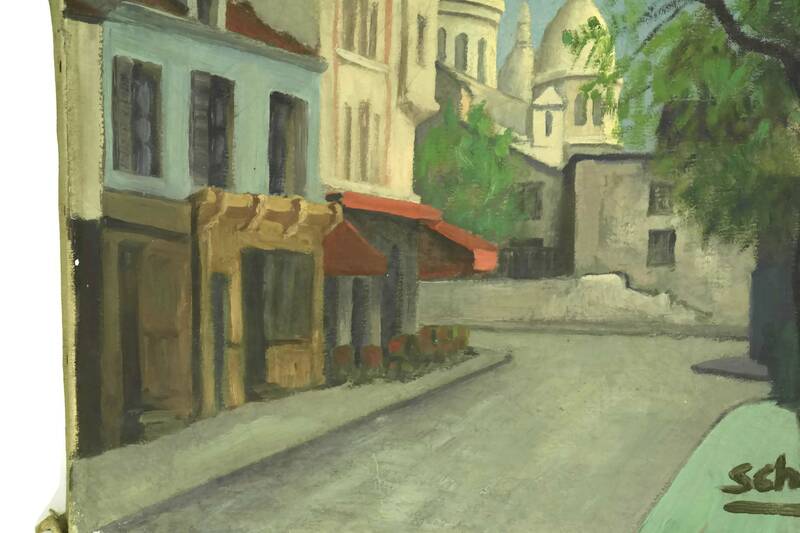 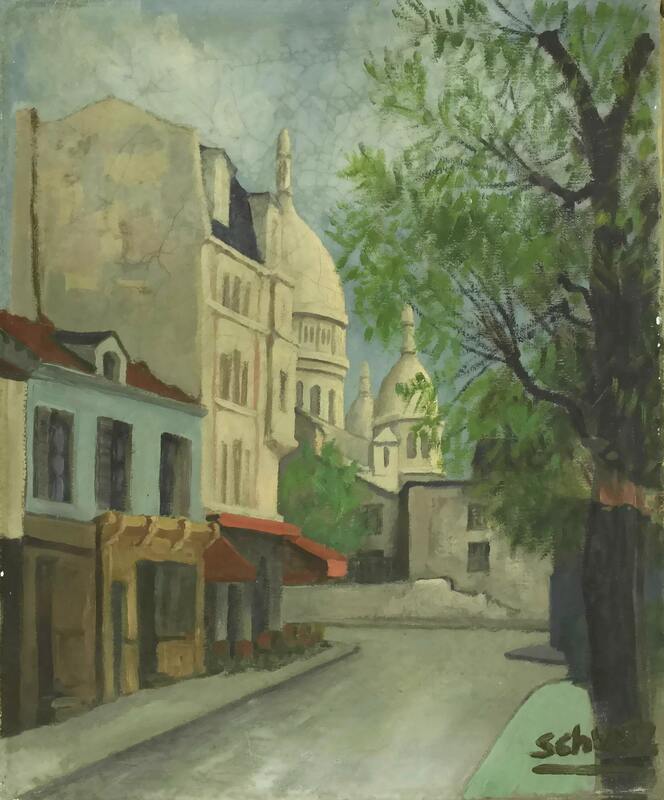 A charming Sacre Coeur in Montmartre Paris painting dating from the mid century. 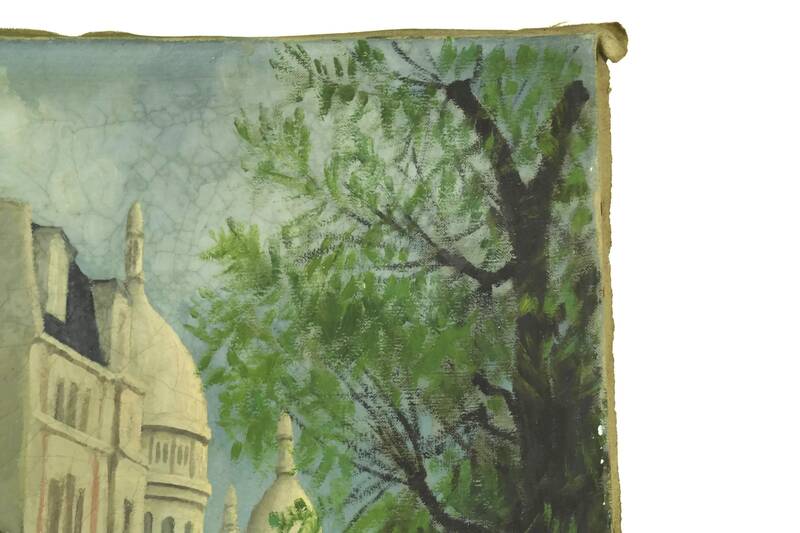 It has been painted in acrylic on stretched canvas and shows a side view of the famous church in Paris. 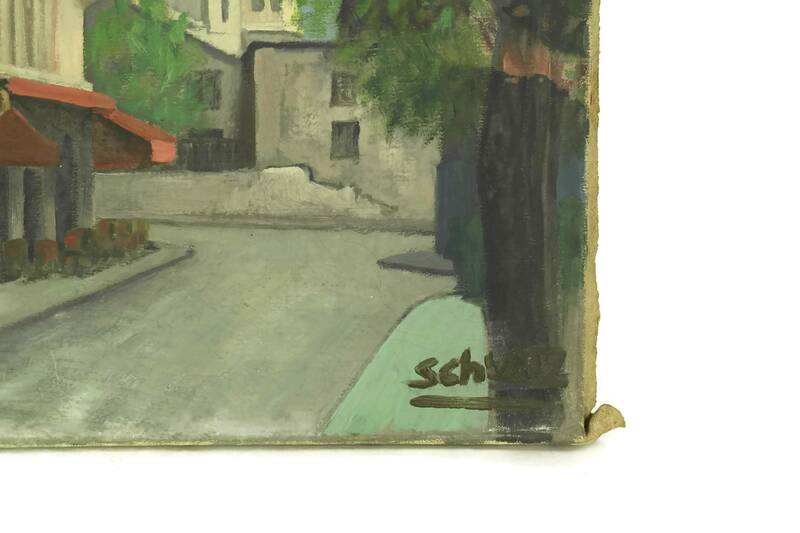 The original art has been signed by the artist Schultz and is filled with retro style. 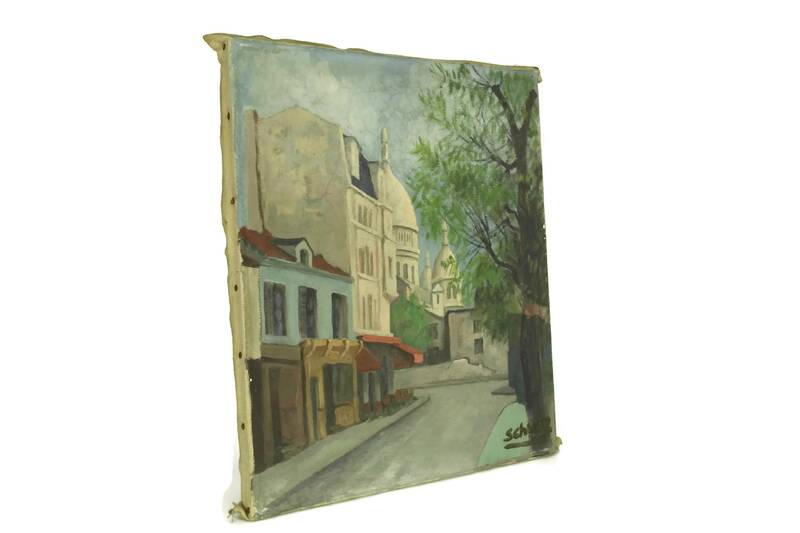 18" Tall x 15" Wide (45 cm x 38 cm). 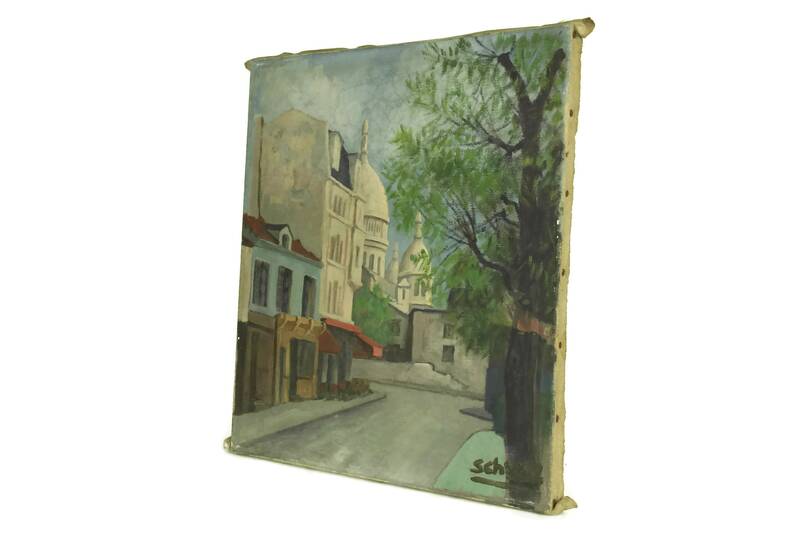 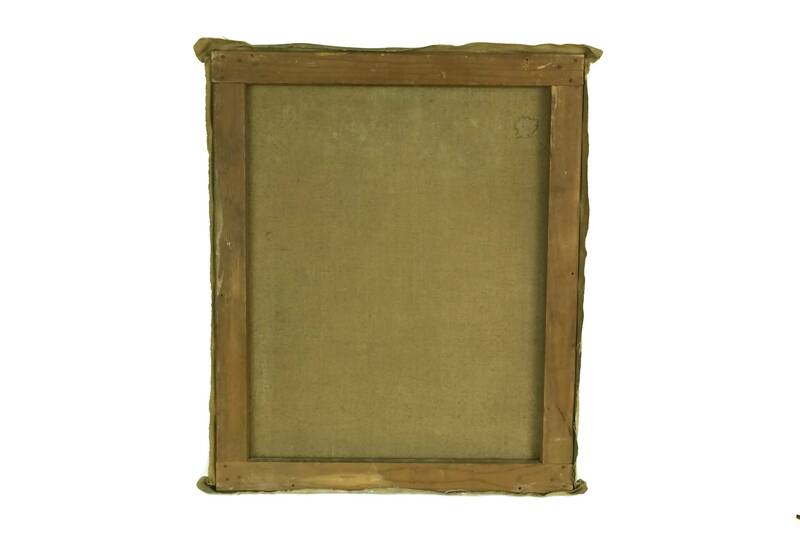 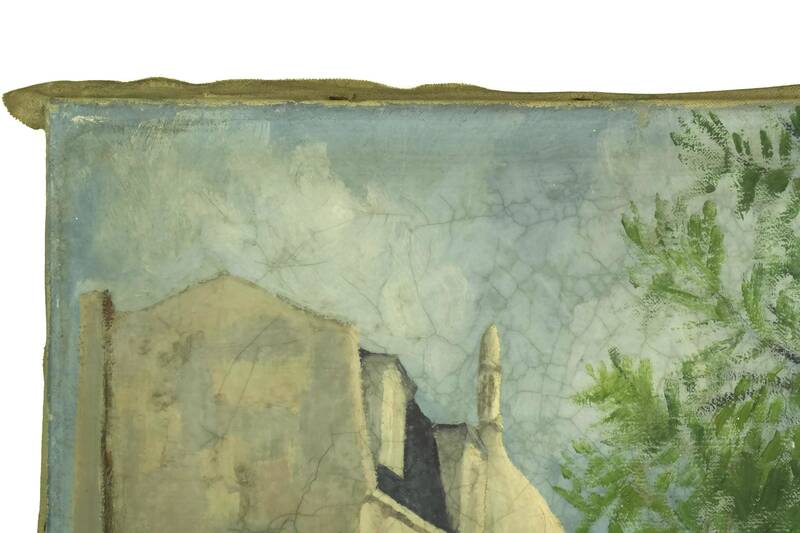 The Paris souvenir painting is in good condition with some signs of age including patina and crackling to the surface of the paint in places.